THIS is the moment an arsonist launched a live hand grenade into an upmarket Marbella hotel. CCTV footage, released today, shows the attacker removing the safety pin before tossing it into the air and fleeing the scene before the explosion. Prior to the explosion the suspect can be seen wandering around the pool donning a bandana over his face and wearing a baseball cap. He can be seen dousing the bar and sofas with an accelerant before setting light to the hotel, almost injuring himself. 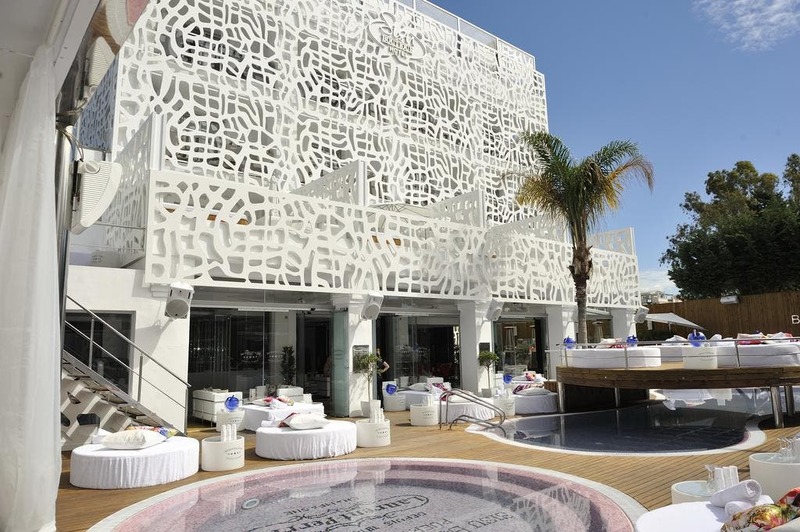 The gangland style attack happened at the Sisu Boutique Hotel, between Marbella and San Pedro de Alcantara. 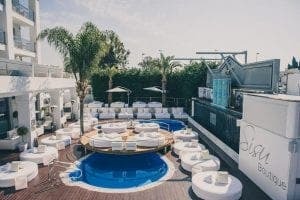 It is a popular haunt for celebs like the TOWIE cast and has hosted several international stars, including Tinie Tempah and Craig David. The attack took place just before 11pm on March 2, but images were revealed today as CCTV footage showing the man responsible was made public for the first time. 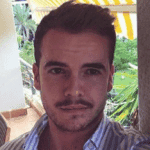 British businessman Neil Acland, who describes himself as the hotel owner, labelled the attack a failed attempt to make sure he could not open for the summer season. He told a Spanish newspaper: “It was done so we couldn’t open in May. “The insurance people won’t cover the damage until the police finish their investigation. His partner Ale Valdivia, general manager at the hotel, added: “We were closed at the time and in bed. Police are still probing the attack. No arrests are thought to have yet been made but detectives are giving out no information about their ongoing probe. The celeb hotel is at the centre of an ongoing rental dispute which has gone to court and it has been outed by neighbours over its noisy parties.